Easy Office Recovery silinmiş ve zarar görmüş Office dosyalarını kurtarır. 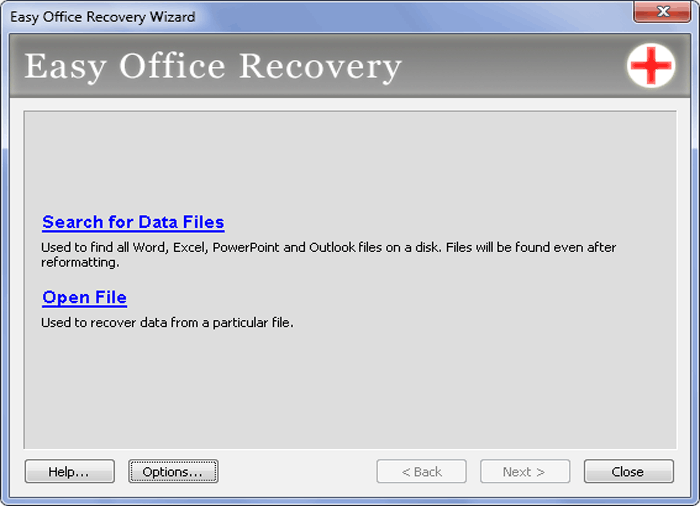 Easy Office Recovery silinmiş ve zarar görmüş Office dosyaları ile çalışmaktadır. Program Microsoft Office versiyonlarının ( Office 95'ten başlamak üzere) Word, Excel, PowerPoint ve Outlook dosyalarını kurtarmaktadır. Kurtarma işlemine başlamadan önce dosyaların ön görünümünü izlemek mümkündür. 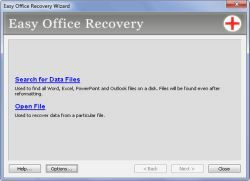 Easy Office Recovery Unicode desteklidir ve Orjinal doküman formatını korumaktadır. Not: Kişisel lisansınızı %70 indirim ile satın alabilirsiniz. Not installed again, this is part of other products of this producer. You'll find enough former reviews. A word to this special software. The focus is not on accidentally deleted files, those who have been in the recycle bin. The focus is on damaged office files. In former times more often than today, a bit or a word changed in the fileheader, or for some strange reasons, a small part was overwritten by zero (or whatever). 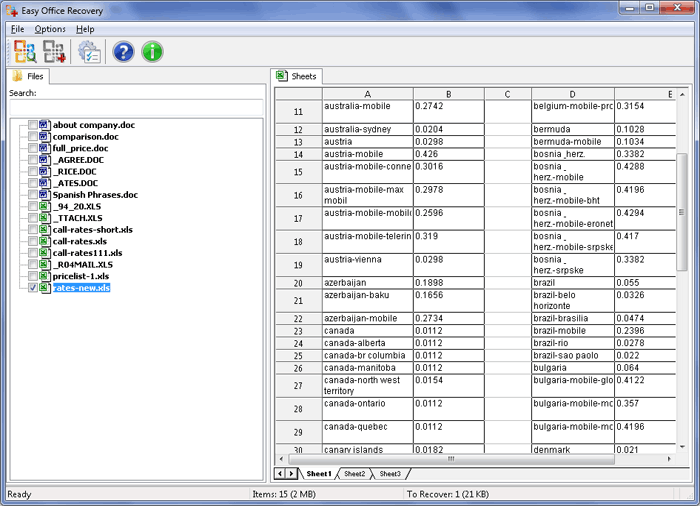 Microsoft Office does not (of course) recognize these files as valid Word, Excel, ... documents. This program ignores simply slight structure errors in the document itself and tries to read and display all "recovered" parts. Better to have an important letter with some missing words or a damaged layout, than nothing. Due to the improvements on HD and/or operating system it is very rare, that a file gets corrupt - more often in the past by insecure file transfer over the net. 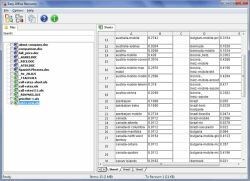 It is still a reliable software, which can help to retrieve lost information within an office document. 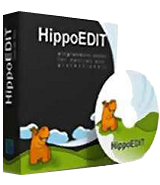 If you ever had corrupted files in the past, this software (maybe) could help. It does no miracles. I cannot remember, when I have had corrupted files in the last ten years. "...It changed my homepage on Firefox, and each time I open up a new tab, their search page shows up. HTTPS Everywhere has been uninstalled by them as well as Foxlingo. I regret downloading this product." I gave my approach to these browser issues in the past, I simply repeat. - create a folder with your portable browser and other portable programs NOT ON C:\. You may write protect this folder. - load this folder with your portable apps every boot time into your RAMdisk. ... you have the fastest access to your browser, your browser and its settings never can get corrupt, because you load it again fresh and clean at each reboot, no matter what happened in the meantime. If you want to make changes, update your browser, install new plugins, you have to start your browser from the directory, where you stored your portable apps. I do this once every month or so. Allow me to add a comment to yesterday's software. A reader writes: "...<i>It changed my homepage on Firefox, and each time I open up a new tab, their search page shows up. HTTPS Everywhere has been uninstalled by them as well as Foxlingo. I regret downloading this product.</i>" I gave my approach to these browser issues in the past, I simply repeat. - Do not install a browser, never - take the portable version of a browser, Firefox, Chrome, or... - create a RAMdisk - create a folder with your portable browser and other portable programs NOT ON C:\. You may write protect this folder. - load this folder with your portable apps every boot time into your RAMdisk. ... you have the fastest access to your browser, your browser and its settings never can get corrupt, because you load it again fresh and clean at each reboot, no matter what happened in the meantime. If you want to make changes, update your browser, install new plugins, you have to start your browser from the directory, where you stored your portable apps. I do this once every month or so. I do not have enough memory on this W7 64 laptop with 4 GB RAM and running Oracle VMWare with a virtual XP. As a poor man's alternative I have set up a separate sandbox for Firefox Portable in SandboxIE. I empty that sandbox ever so often and "reinstall" FireFox Portable in it. Karl, I do not have enough memory on this W7 64 laptop with 4 GB RAM and running Oracle VMWare with a virtual XP. As a poor man's alternative I have set up a separate sandbox for Firefox Portable in SandboxIE. I empty that sandbox ever so often and "reinstall" FireFox Portable in it. 2 GB of RAMdisk is completely sufficient and 6 GB for windows, too Be sure to clear the browser cache from time to time, as this reduces the free RAMdisk.